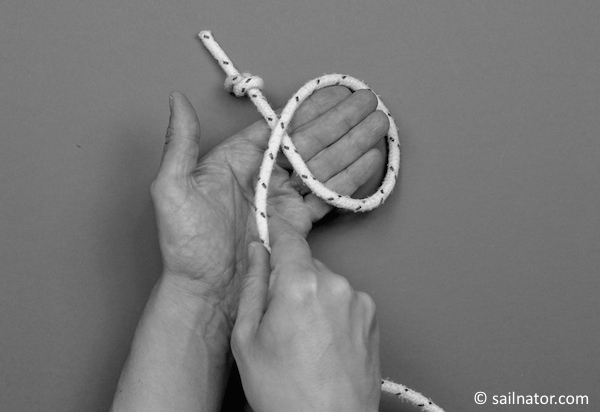 In this post I show how to tie the bowline knot with words, images and on video. 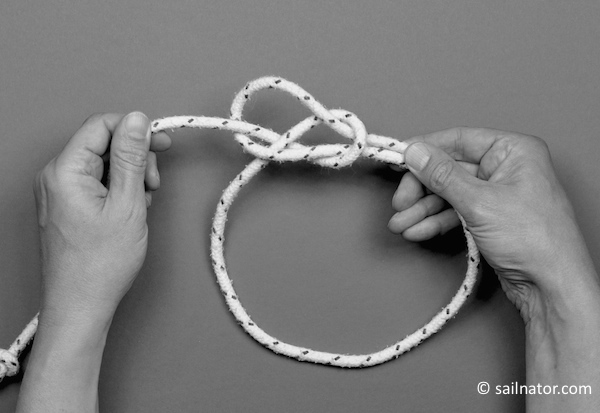 We use the bowline knot to form a loop at the end of a line that does not contract. 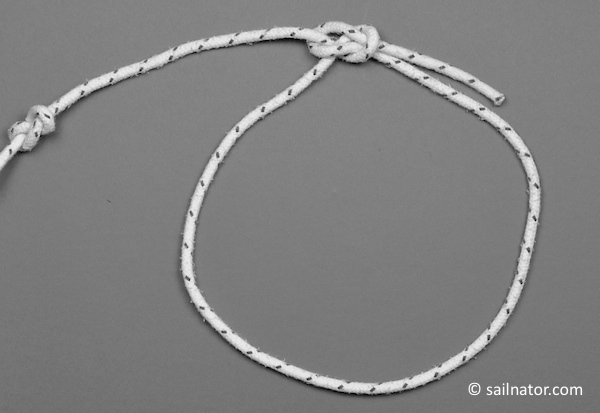 This is needed for example to fix a line at a mooring post or to attach the halyard on the head of a sail. You can embed this video on your website and please don’t forget to share the video! Thank you very much! 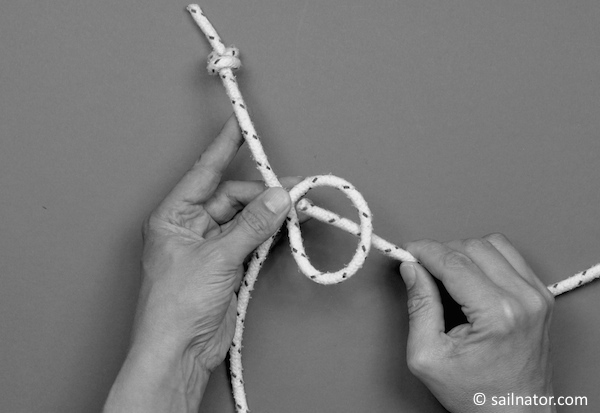 Follow these steps for tying the square knot: . Before I start it is useful to recognise which is the loose part and which the moored part of my line. Which end of my line would be attached somewhere in reality? For example at a cleat on my boat. So I tie a figure-eight knot in the end of my line to mark the moored part. 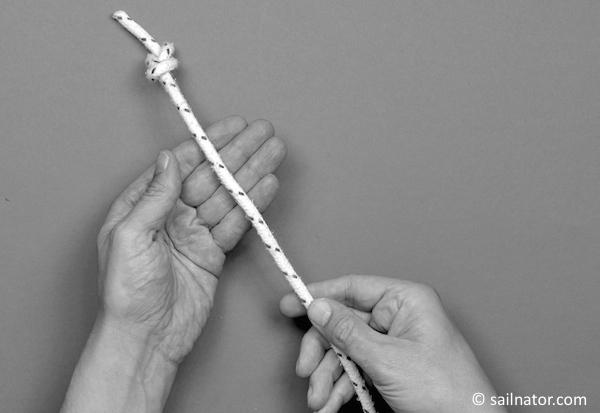 I place the figure-eight knot away from me over my left hand. 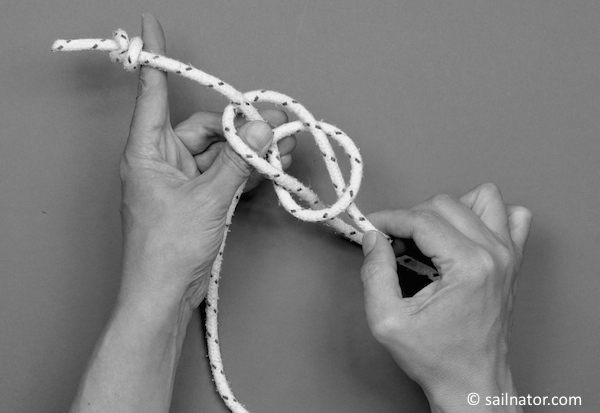 I take the loose part with my right hand and lay a loop where the loose part lies over the moored part of the line. I take the point where the two parts cross between my thumb and my middle finger of my left hand. With my forefinger I keep the moored part at a distance. I take the loose part with the right hand now and stick it into the loop from underneath. Now I stick the loose part into the loop again, but this time from above. Now it is important to hold the moored part with the left hand and to pull with the right hand both bits of the loose part. Now the bowline knot is finished. Now we pull the moored part and both bits of the loose part and the bowline knot is finished. 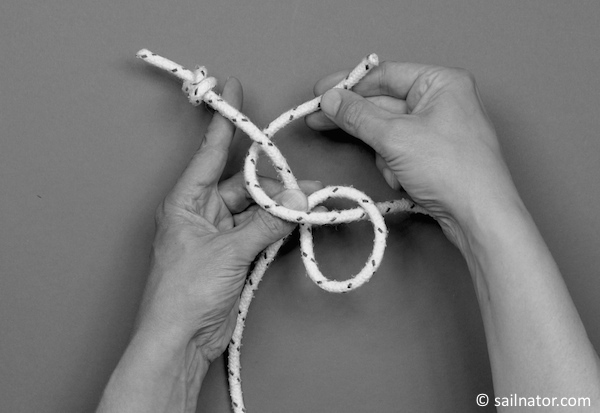 Practice the bowline knot till you are able to tie it with closed eyes or behind your back.